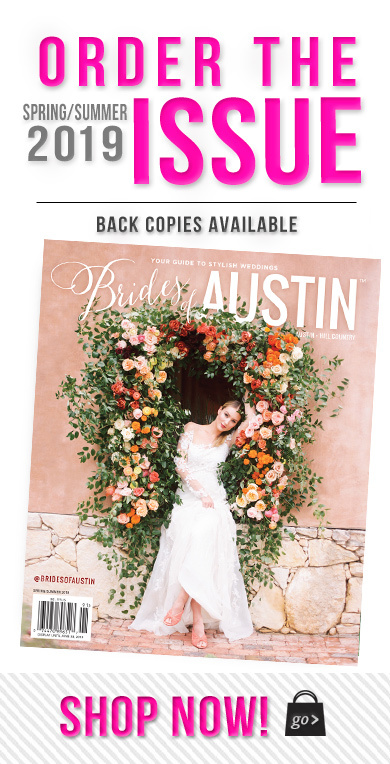 From the heart of downtown Austin to the Domain Northside, we’ve rounded up some of our favorite modern Austin wedding venues. Whether you’re looking for a blank backdrop to see your vision unfold or spectacular onsite amenities, these venues are sure to impress your guests! If you’re looking for a venue in North Austin, check out the Archer Hotel Austin — a beautiful 8-story boutique hotel in the heart of Domain Northside. 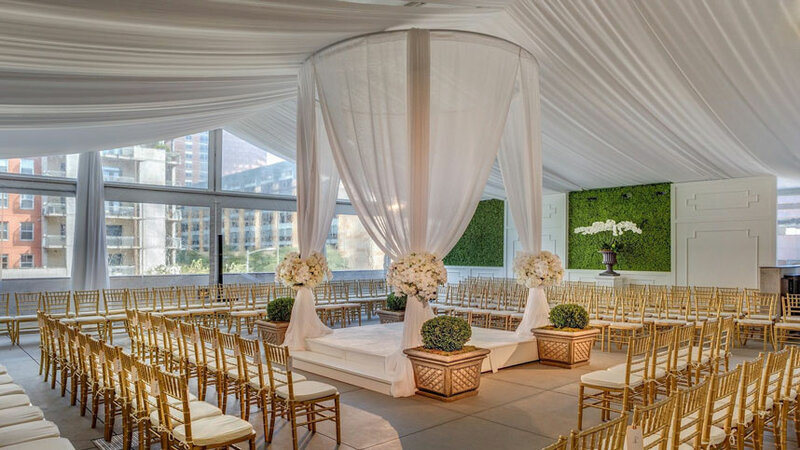 Complete with Lonestar light fixtures in the ballroom and spectacular outdoor terrace with a firepit and seating, this Texas-chic venue is a modern oasis. 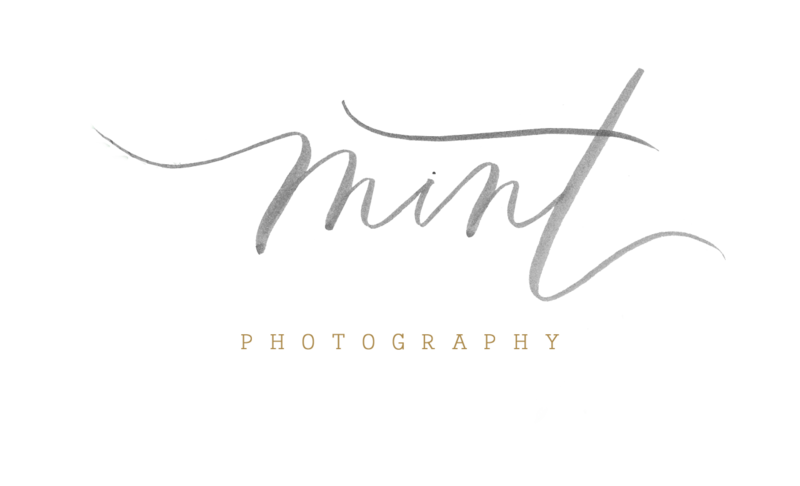 An experienced on-site wedding specialist, personalized menus by in-house chef and personalized online booking site for wedding guests add additional sophistication to your event. 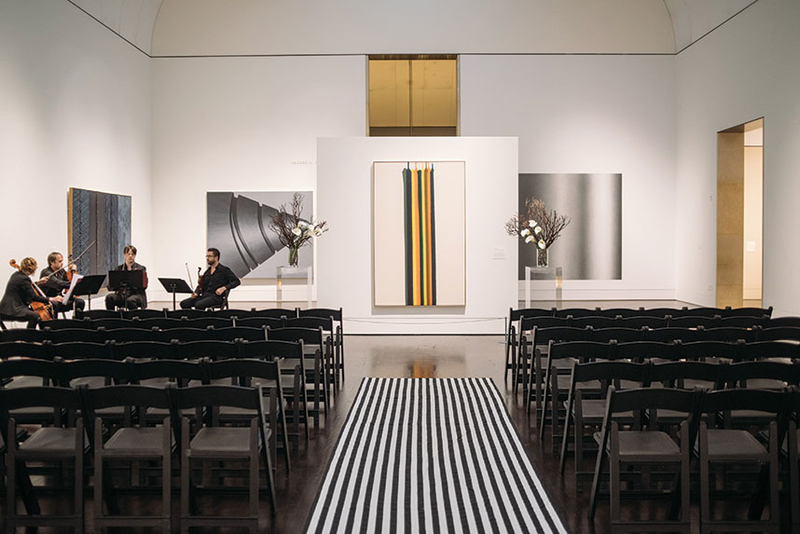 Centrally located just minutes from the State Capitol, The Blanton Museum of Art provides a stunning backdrop for wedding ceremonies and receptions. Guests mingle in the Atrium under soaring 50-foot skylights, on the covered outdoor Loggia and throughout the spectacular galleries. Perfect for the musical couple, hotel Van Zandt will turn your event to eleven. 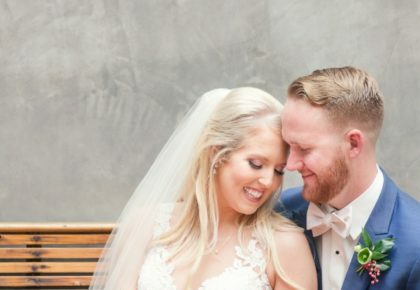 From the light fixtures made out of instruments, to live music in Geraldine’s, the onsite restaurant, this modern Austin wedding venue will turn your guest’s heads and keep them in tune to having fun. A large wedding? No problem! 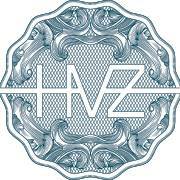 Hotel Van Zandt offers banquet seating for up to 430. 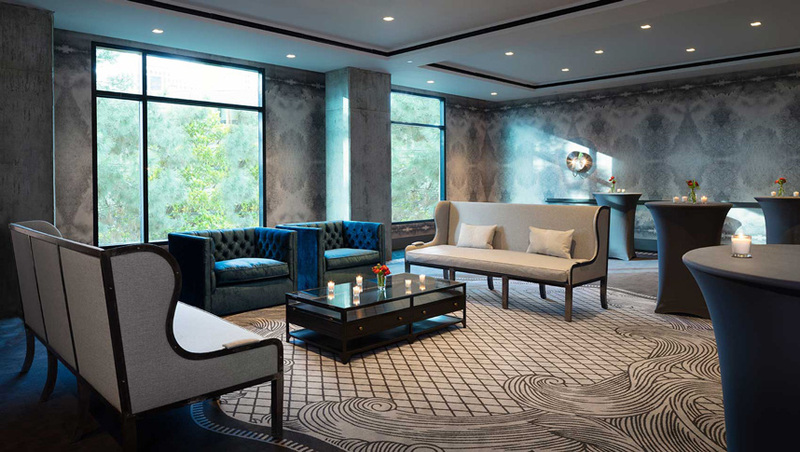 With a modern design inspired by Austin, the JW Marriott has an event space for every occasion and style and can accommodate groups from 50 to 1,000. Foyer spaces with soaring windows and views of the Austin sky line are the perfect backdrop to a stunning event. Additionally, the breathtaking Congress Avenue Terrace overlooks Ladybird Lake and downtown Austin. This North Austin event space is in the heart of the Rock Rose District—a fun, bustling area in the new Domain Northside. This modern event space offers a blank canvas for your dream wedding. 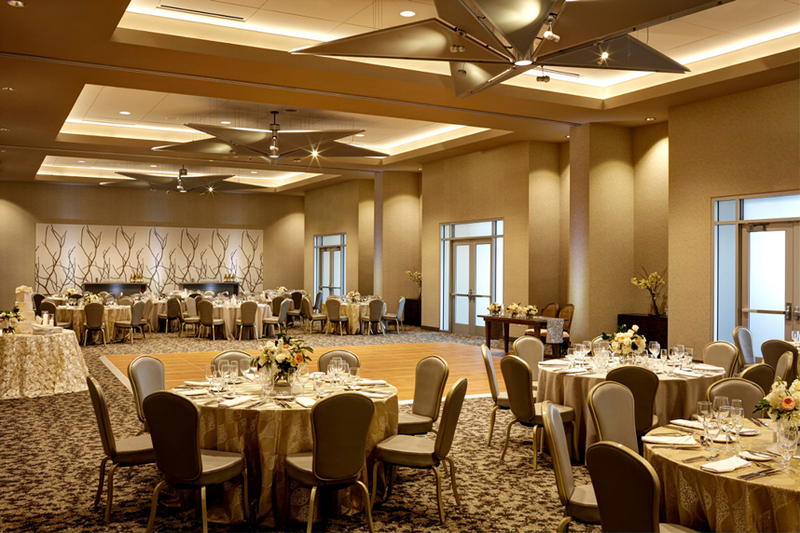 With 2,769 square feet of indoor space and 669 square feet of balcony space, Rock Rose Hall is a stunning option for weddings with up to 200 guests. 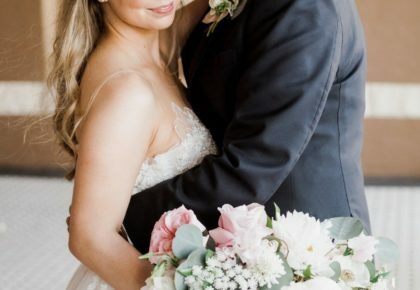 Whether your big day includes hundreds of guests or is elegantly simple and intimate, you’ll find the perfect setting for your wedding at the sophisticated Westin Austin Downtown. 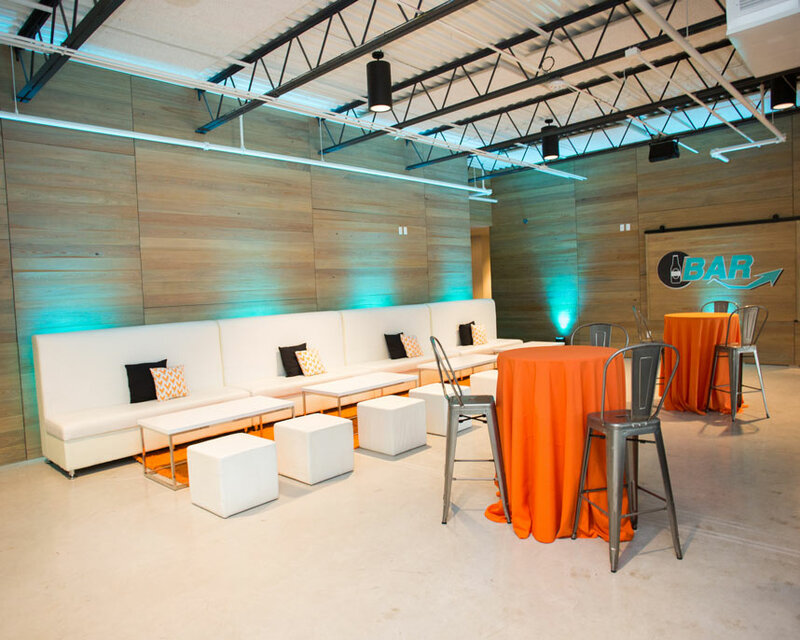 Choose from over 19,000 square feet of event spaces, from grand ballrooms to pool deck overlooking downtown Austin. From an award-winning pastry team who can make your wedding cake onsite, to use of whimsical W lounge furniture, W Austin’s modern finishes provide the perfect backdrop for a chic and stylish event. 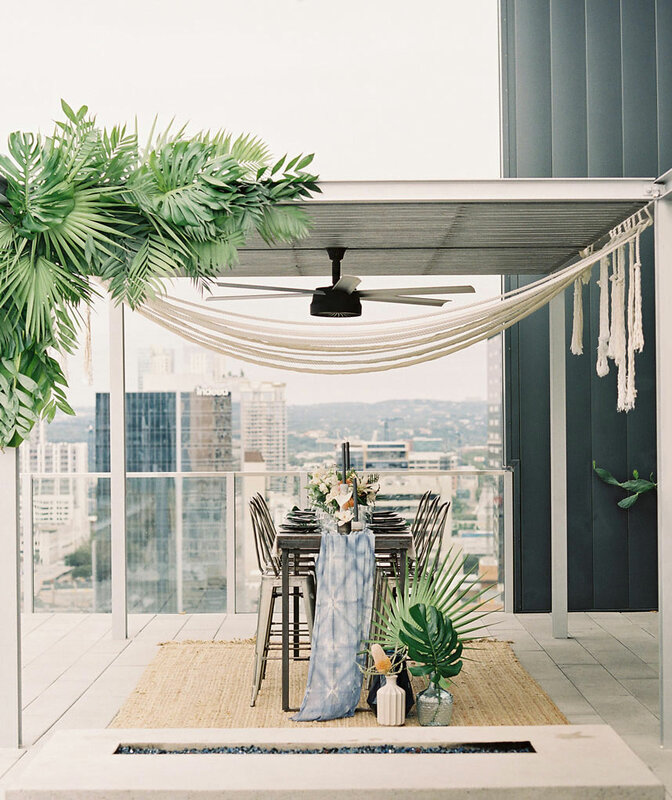 Not even rain can stop your big day; W Austin’s outdoor terrace be easily tented with clear material, so you can still incorporate stunning city views without worrying about the weather. Plus, with weddings of 150 people or more, the engaged couple receives a complimentary suite at the hotel.